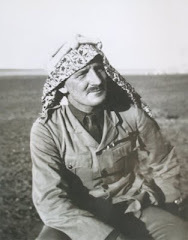 Early in the summer of 1926 Stewart Newcombe met Ralph Bagnold, a Royal Engineer officer who between the wars spent most of his free-time avidly exploring by motor car the desert environments of the Sinai, Trans-Jordan and the Great Sand Sea that separates Libya and Egypt. In the beginning, Bagnold and his fellow travellers journeyed far from civilisation not for any scientific justification or any thirst for exploration, just simply a desire to break out of their normal environment and have a sort of holiday in the desert. 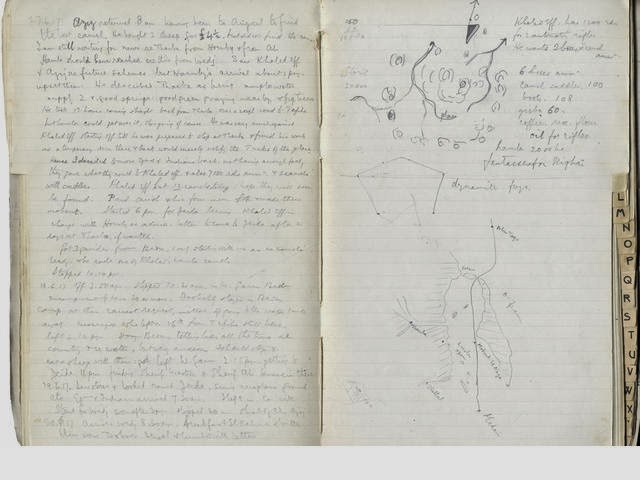 Of course, Bagnold quickly discovered that there are deserts and deserts, with each variety offering up new and exciting challenges for motorised travel and so a large part of the adventure was in the planning, the making of lists and the purchasing of equipment, tinned food and petrol. Then they would be off, making it up as they went along, sometimes getting it right and sometimes not, but all the time learning and refining their techniques. They started with ‘easy’ routes to Petra and into the Sinai, using Newcombe’s pre-war map as guide, before attempting the largely unexplored Libyan Desert (now Egypt’s Western Desert). 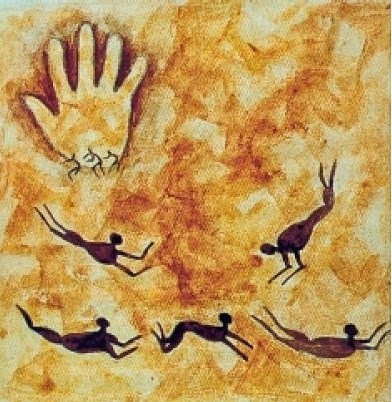 They became explorers almost by accident, by the sheer fact that they were discovering a previously unmapped world, a ‘Dead World’ as Bagnold called it, where it just might be possible they would discover relics from an older lost world. This thought made them push their cars into ever-enlarging achievements beyond the normal limitations of their machines and even sometimes beyond their own physical abilities. Beyond the horizon, always ‘a little further out’, could be the remains of the lost army of Cambyses, the son of Cyrus the Great, who sent his army of 50,000 men out to threaten the Siwan kingdom in 525 B.C. and were never to be seen again. According to the historian Herodotus they were believed to have been swallowed up in a huge sandstorm. Such were the stories they amused themselves with around the camp fire at night. At Burg el Tuyur. Holland, Shaw (standing), Newbold, Dwyer, Bagnold. Like every explorer of the Libyan Desert at the beginning of the 20th century, Ralph Bagnold was drawn into the hunt for the so-called “lost oasis” of Zerzura - a legendary name that had long excited the imagination with tales of verdant palms, a ruined city and lost treasure. ‘It is generally agreed,’ wrote Bagnold in Libyan Sands, his book of his inter-war adventures, ‘that the word is most probably derived from “Zarzar,” the Arabic name for a starling or sparrow; so that Zerzura means “the place of the little birds.”’ Such was the fascination with Zerzura that its existence and location were even hotly debated in the highly esteemed Journal of the Royal Geographical Society. The meeting between Newcombe and Bagnold resulted in a motor car expedition, at Newcombe’s instigation, across uncharted territory to find a direct car route from Ismailia to Cairo whilst avoiding cultivation. 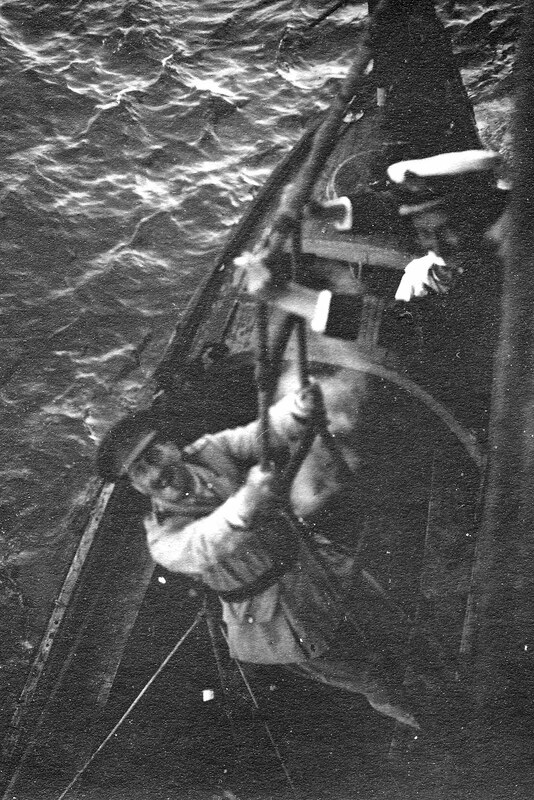 Bagnold, accompanied by Sapper Lieutenant E. Bader, takes up the story: ‘We started well. It was like the official progress of a Pasha. Each village turned out to discuss its little needs - a new bridge here, a road there, intercession with the Government about some grievance - interminable coffee.’ Then Bagnold describes how Newcombe’s reputation could still smooth the way for any traveller in the desert: ‘There were obstacles to cross before we got clear - the steep banks of a canal without any roadway up them. But the colonel merely waved his arm and forty men ran half a mile to help, picked up the two cars bodily and carried them to the top. Yet they all knew he held no official position with them, that he was entirely unconnected with the Government. 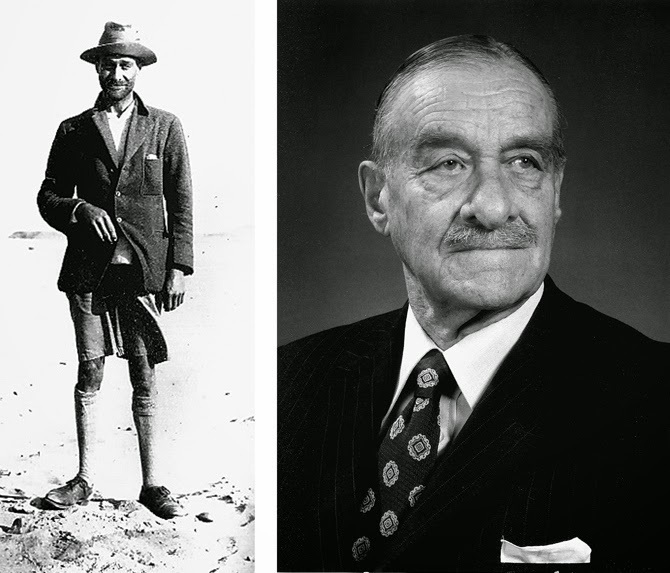 It was merely that he was Newcombe, a legendary figure from the war who could persuade a native to do anything, who could quell a brawl with a laugh and two words of Arabic’. They spent some time getting the cars through a belt of low dunes and it was noon before they reached firm stony ground. Having trusted the lunch arrangements to Newcombe, Bagnold and Bader became a little agitated when the appointed hour came and went, neither of them willing to suggest a halt for food. 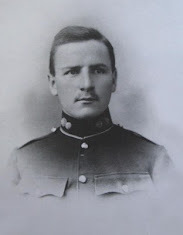 Eventually Newcombe, who seemed completely unaware of the men’s discomfort, produced the complete supply of food he had brought for the trip – three small ration biscuits. The 1926 meeting between Newcombe and Bagnold coincided with Count Almásy’s first motorcar trip in Egypt. The Hungarian Count, one of the last gentleman-adventurers, drove along the Nile valley from Cairo to Khartoum with his compatriot, Prince Antal Eszterházy, before eventually reaching the Southern Sudan in what he described as a hunting-trip; others have since speculated that he was engaged upon an intelligence-gathering expedition on behalf of the Italians. Contrary to the view held by Saul Kelly, author of the acclaimed The Lost Oasis, Almásy would almost certainly have had neither the contacts nor the interest in what was his first venture into Africa. András Zboray, an Almásy specialist and an expert on prehistoric rock art, found no evidence for him being involved with any intelligence organisation prior to 1941. Ironically, captured Italian documents convincingly prove that the Italians themselves suspected the Count of spying for the British and it seems that after 1934 he was persona non grata on both sides of the Egypt/Libyan border. Almásy, immortalised in the film The English Patient, a highly fictionalised account of his life, would later become a natural recruit for the Abwehr, the German Military Intelligence Service, and would use his knowledge of the desert to good effect by successfully infiltrating two German spies into Cairo in what was code-named ‘Operation Salam’ in 1942. 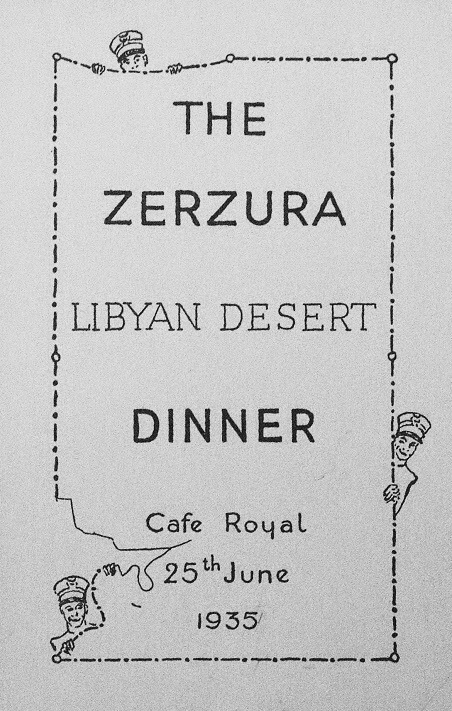 The founding of the Zerzura Club brought together all those personalities who dared to venture into the interior of the Libyan Desert in search of the lost oasis. 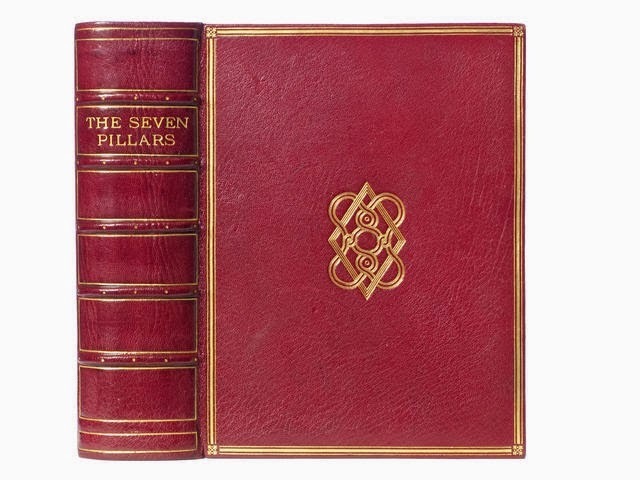 The club was the brainchild of a few gentlemen-adventurers – Bagnold, D.A.L. Dwyer, V.C. 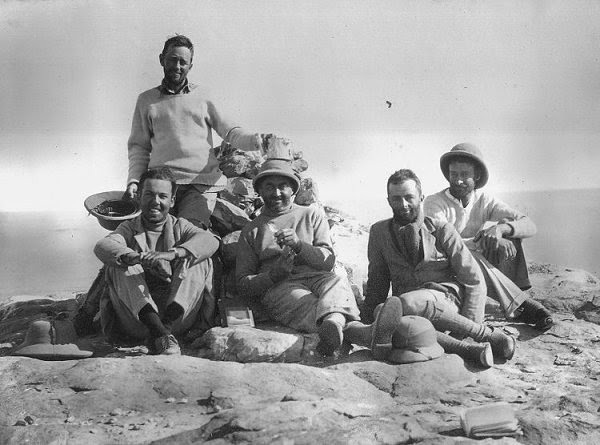 Holland, Douglas Newbold, Guy Prendergast and Bill Kennedy Shaw - who entered the Greek Café in Wadi Halfa on the banks of the Nile on the evening of 5 November 1930 and drank as much beer as they had dreamt of whilst out in the heat of the Sand Sea. 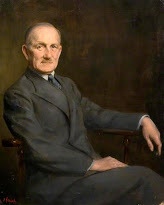 Initially limited to those members of Bagnold’s parties, it was opened up to include all Zerzura hunters and to “all those to whom the exploration of the Libyan Desert has provided an interest, or a travel memory in common.” This included such luminaries of desert exploration as Patrick Clayton, W.J. Harding-King, Lady Dorothy Clayton-East-Clayton, Rupert Harding-Newman and the enigmatic Count Almásy. All good clubs and societies enjoy a regular get-together, preferably around the convivial atmosphere of a dinner. Setting a date for its own Annual Dinner, the Zerzura Club decided to piggy-back the annual meeting of the Royal Geographical Society in London which attracted many explorers and geographers who came out of the deserts, jungles and polar regions, or down from the mountains and out of the seas to attend its prestigious gatherings in Kensington Gore. Members of the Zerzura Club frequently gave lectures at the Society on their findings and contributed papers to its prestigious Journal. In 1933, the date for the Zerzura Club Dinner was thereafter fixed to be held on the evening following this illustrious gathering where it was assumed that many of its members would be in town. Despite the concern that two geographical meetings on two successive days might give rise to a feeling of surfeit, the Dinner was usually well attended. Although no official records exist, it is clear that Newcombe also became a member of this loosely organised club and attended at least one of the evenings held on 25 June 1935 at the Café Royal in London, a few weeks after Lawrence’s funeral. His signature appears on the back of a menu card along with two of the club’s founder members, Ralph Bagnold and Bill Shaw, and ten other desert explorers. 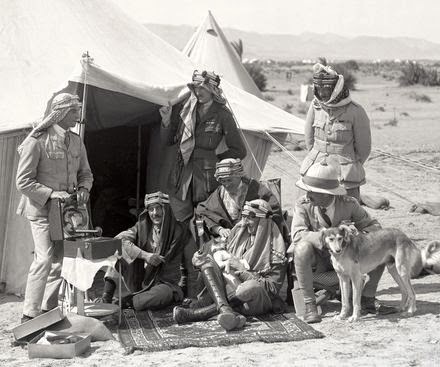 It was also the same year that Bagnold’s book Libyan Sands: Travel in a Dead World was published, recounting his exploits in exploring the Egyptian western Desert and the Libyan Sahara. There would be much to discuss that evening, not least Bagnold’s personal conclusion that Zerzura was simply a legend, a ‘wish-oasis’, that could never be solved by exploration. ‘I like to think of Zerzura...,’ he wrote, ‘as an idea for which we have no apt word in English, meaning something waiting to be discovered in some out-of-the-way place, difficult of access, if one is enterprising enough to go out and look; an indefinite thing, taking different shapes in the minds of different individuals according to their interests and wishes. For the Arab it may be an oasis or hidden treasure; for Europeans it may be a new archaeological site, some find of scientific importance, a new plant or mineral; or just an expectancy of finding anything that is not yet known.’ Despite this potentially legend-shattering opinion the dinner club tradition continued until it was interrupted by war. Although Bagnold’s idea that Zerzura existed simply as a ‘wish-oasis’, a concept of thought that had in some small measure put to rest the physical search for the oasis, the energy and intellect that had been applied to its search would later be used in ways completely unforeseen by those intrepid explorers who had taken such an active part in the hunt. Egypt, forever at the mercy of the ebb and flow of the Nile waters, benefited greatly from the application of a theory held by the Zerzura hunters that supposed that there was a correlation between each accessible point of the artesian water level that spreads across the great Sand Sea of Libya. It was thought that an oasis and a dropped bore hole, although separated by a hundred miles, would produce water at a near constant level across the whole region, falling off slightly towards the north-east. The theory was tested by taking readings from sea level and applying them to artesian levels in a variety of locations where water rose sufficiently to produce an oasis lake or a well under natural static pressure. The results were surprisingly accurate. Knowing the height relationship between sea and artesian levels made locating water no longer guesswork. By this theory, measuring the altitude of land surfaces above sea level in any given location should tell you how far you would need to dig before finding water. This eliminated the possibility of Zerzura being in locations that consistently rose above the water table, and therefore narrowed the hunt to what Lady Clayton would describe as a ‘vanishing point’. But as she added, ever optimistically, ‘until that has been done the lost oasis is still there to be found.’ Mapping the water in the desert provided hope for Egypt’s future development as a modern nation - a future no longer based on a continuing struggle for life following severe water shortages but on the construction of extensive irrigation schemes to transform the landscape and increase agricultural land to relieve crowding in the Nile Valley. So successful was the scheme that new maps were soon needed to show how the boundaries between the desert and the sown had been extended and the desert was beginning to bloom. Never dreaming that war could come once again to the vast waterless expanse of the Great Sand Sea that separates Egypt and Libya, Bagnold was recalled to the army as soon as the Second World War was declared and seized an opportunity to remain in Egypt after a delay occurred with his onwards transport to his original posting in East Africa. He took his chance by proposing an audacious scheme to patrol the seven-hundred-mile western frontier with Libya by means of a light-car unit. It was an idea that the top brass thought insane or at the very least reckless but was one that Bagnold had complete faith in and knew it could be done; he had already accomplished a five-hundred mile car journey from Uweinat in Libya to Aswan in Egypt in a day and a half. Bagnold pointed out that Uweinat was now the southernmost outpost of the Italians and was therefore a considerable threat to the Sudan if they were to launch a raid in that direction, with the Aswan Lower Dam a particularly vulnerable target. GHQ saw his point. Bagnold was given the green light to create the Long Range Patrol, eventually becoming the Long Range Desert Group (LRDG), a unit of the British Army designed to carry out deep penetration, covert reconnaissance patrols and intelligence gathering missions behind Italian lines in the North African Campaign. By July 1941, the LRDG and David Sterling’s fledgling “L” Detachment, later renamed the Special Air Service or simply the SAS, were competing for space in the Western Desert as each group had its own agenda and modus operandi. The more explosive nature of the SAS was found to bring upon the LRDG unwanted attention from increased enemy patrols and air reconnaissance, hindering its more silent, watchful approach. A compromise was made whereby each group was to operate in its own zones, a satisfactory arrangement that, apart from joint operations, lasted until the end of the war when the LRDG was disbanded, leaving the SAS to carry the baton into a new era of global warfare. 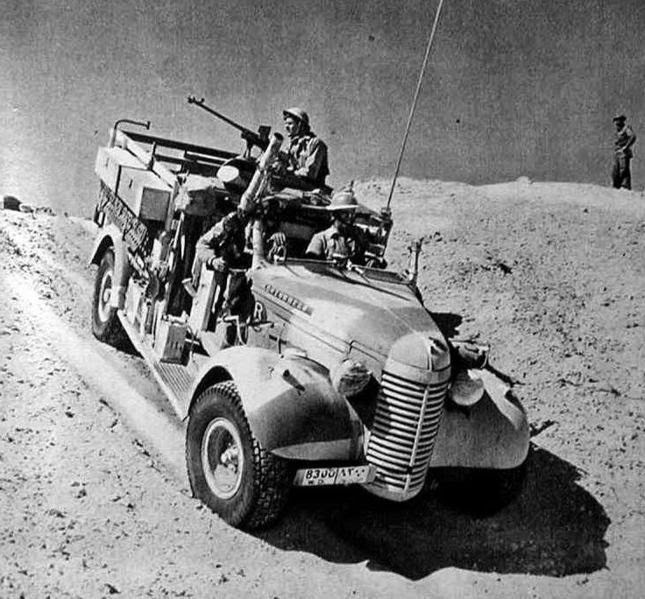 While the LRDG did not shy away from direct action if it was required - every vehicle carried a wide-ranging arsenal of weapons and explosives and each man was cross-trained in the use of personal arms from pistols to fighting knives – the main thrust of these desert raiders was to keep intelligence flowing back to the British Army. It has been said that without the early success of Bagnold’s little force, it is doubtful if some of the later private armies would have been authorised. With Bagnold at the helm, the group became an integral part of that elite echelon within the British Army that came under the heading ‘Special Forces’, those units that were engaged in guerrilla operations. Their structure and modus operandi bear a remarkable resemblance to the exploits of Newcombe, Lawrence, Hornby and Garland whose influence permeates the planning, the techniques and the philosophy of the LRDG and the SAS. 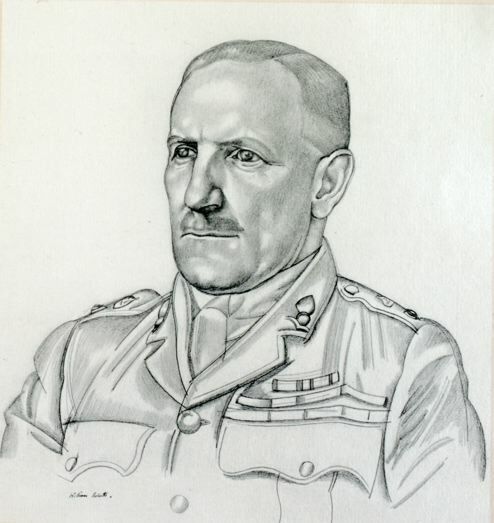 Lawrence’s vision and application of the Strategy of the Indirect Approach, a term championed by his biographer, the military historian Liddell Hart, was described by a future leader of the LRDG, David Lloyd Owen, in this way: "Lawrence had lit the flame which fans the passion of those who lead guerrilla warfare and I wanted more than anything to experience it." 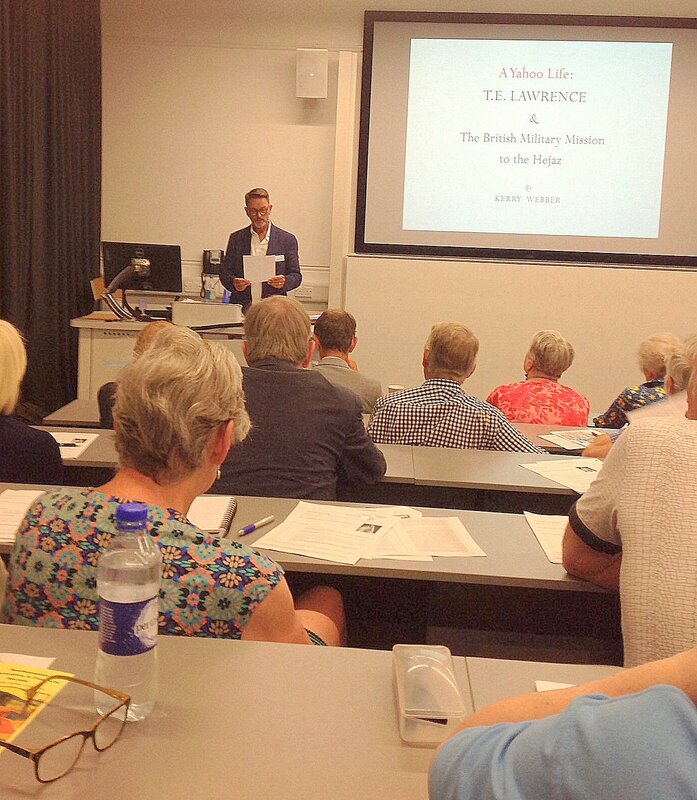 Once again, Lawrence’s high profile exploits and ‘a fluent pen, a free speech and a certain adroitness of brain’, as he once put it, had taken centre stage in the telling and retelling of the story of the Arab Revolt and so it is his influence on guerrilla operations that is most often cited by soldiers of World War II such as David Stirling and Fitzroy MacLean of the SAS, Peter Wilkinson and Neil (Billy) Mclean of the Special Operations Executive, and Vladimir Popski. 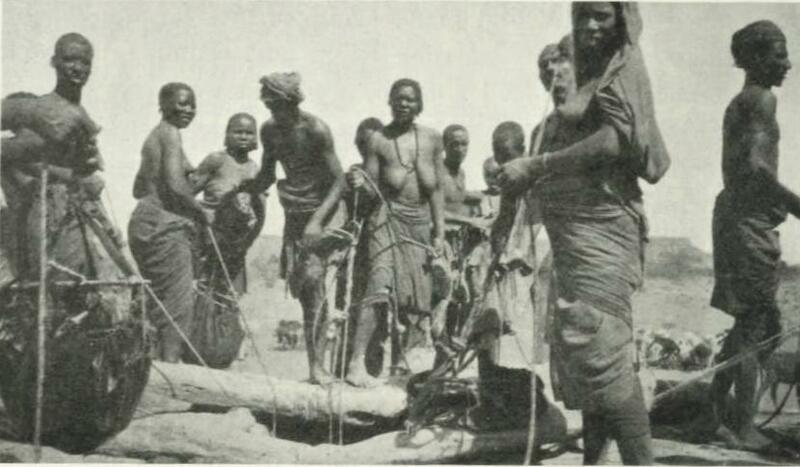 But some of the share of the inspiration behind this rethinking of the benefits of guerrilla tactics on civilised warfare must go to the officers and men of the Senussi Campaign and the British Military Mission to the Hejaz who pushed hard at the perceived limitations of man and machine to overcome both the enemy and the environment in which they fought. 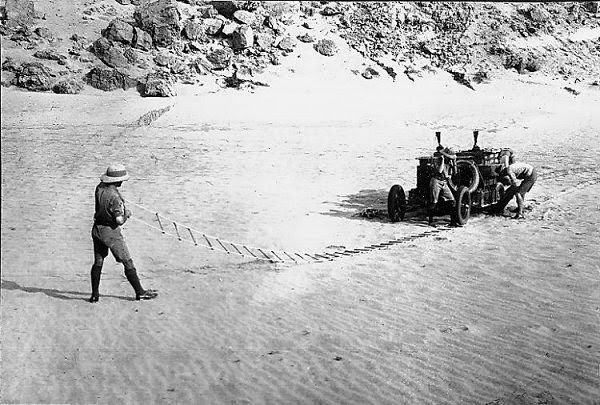 The expedition that Bagnold took with Newcombe in 1926 amply illustrates the lessons and the legacy passed down by those early pioneers of asymmetrical warfare supported by motorised desert transport, an idea that Bagnold was to take forward into the unmapped wastes of the Great Sand Sea in 1941 with great success. In the 1970’s, during the race with Russia to land unmanned probes on Mars, the US National Aeronautics and Space Administration (NASA) sought information on inexplicable formations and contours on the surface of the red planet that appeared to be similar to sand dunes found on earth. 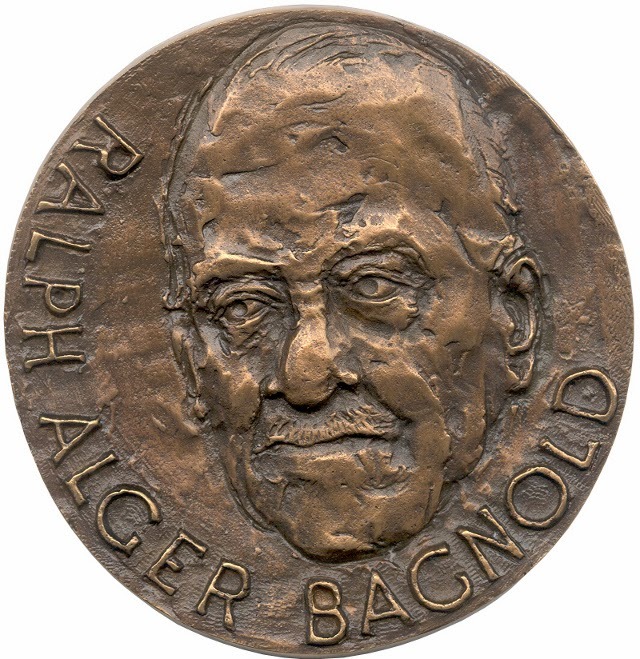 It turned to the seminal work on dune formation and wind erosion, The Physics of Blown Sand and Desert Dunes, written by the one man sufficiently qualified to provide answers to its concerns, an aging desert explorer named Ralph Bagnold. In 1978, aged eighty-one, Bagnold was invited by Professor Ronald Greeley to be the keynote speaker at the NASA Field Conference on Aeolian Processes, exploring wind effects on erosion, movement and distribution relating to the geology of the Earth and Mars. It was certainly a long way from the legend of Zarzura and Lawrence's steel chariots in the desert. For more information on the hunt for the lost oasis of Zerzura and on the Libyan Desert (the Eastern Sahara) explore FJEXPEDITIONS (Fliegel Zezerniczky Expeditions) run by András Zboray. My thanks go to András for running his expert eye over this piece and correcting one important point.